The Samsung Galaxy Watch launch is happening today and if you are hoping to watch the Samsung Unpacked live stream then you've come to the right place. That's because we've embedded the live stream below, as well as links to all the Galaxy Watch details we already know about. Alongside the Galaxy Watch, you will also see the Samsung Galaxy Note 9 at today's launch event. In fact, this will be the main focus of the event, so you can read all about Samsung's jumbo-sized smartphone here. But back onto the watch. We don't know quite as much about the Samsung Galaxy Watch as we do about the Note, however a leak on Samsung's official store, which mistakenly listed the product a couple of weeks back, indicated at least one classy will be a 42mm rose gold model. The most recent rumour suggests the watch will be available in two sizes, 42mm and 46mm, and that the battery will be able to last a massive seven days in between charges. If that turns out to be true, Apple should be worried. Recent reports also indicate the Galaxy Watch is going to be available to buy very soon, too, so we definitely have high hopes that it'll be unveiled at Samsung Unpacked 2018. The entirety of Samsung Unpacked is going to be available to watch online over at Samsung's website or on Youtube (we've also embedded the video here). It's happening on August 9, 2018, at 4pm BST. The event itself is taking place at Barclays Center, in New York. 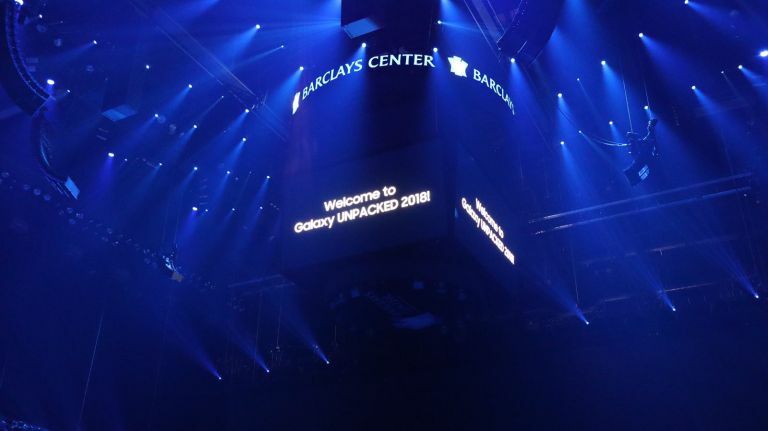 Samsung's official Twitter account will be covering the Samsung Unpacked event also, so we suggest checking in there as soon as the live stream begins if you can't watch the video, for whatever reason. To watch the live stream you need to be using the latest version of Chrome or Internet Explorer 11. If watching via YouTube app, you will need the latest version of the app. We will also be embedding the live stream video here when it goes live, so you can also bookmark this page and simply check back in later today to watch Samsung Unpacked live. While you wait for the Samsung Galaxy Watch live stream to go live, though, you should check out all the information we already know about the device. Pre-registration for Samsung's Galaxy Unpacked event on August 9th is now live. You can register now on Samsung's dedicated registration page. Sign-up now to get in first with the Samsung Galaxy Watch and Galaxy Note 9.